Warwickshires top cop , Peter Joslin, is quitting his job next week. The chief constable, who has led the Warwickshire force for the last 15 years, will retire on Monday  which is also the day he celebrates his 65th birthday. Mr Joslin came to Warwickshire from the Leicestershire police and is the longest serving chief constable in the country. He is also one of the longest serving police officers in the country, clocking up an amazing 44 years on the job. Mr Joslin began his career in 1954 when he joined the Essex force after completing National Service in the Royal Signals Corps. He was with Essex police for twenty years during which time he spent three years at Essex University where he gained an honours degree in government and politics. 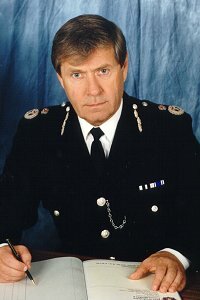 He joined the Leicestershire force in 1974 and was Chief Constable by 1983. During his service he had a particular interest in road safety and traffic issues. He has also served as chairman of the ACPO (Association of Chief Police Officers) traffic committee where he was an outspoken advocate of tough drink-driving laws. Warwickshires new chief constable will be Andrew Timpson who will take over the reigns on Tuesday, October 27.